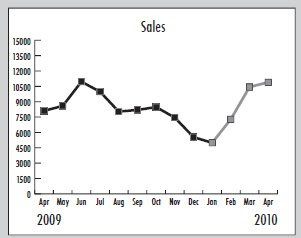 This graph shows that the number of sales over the past year is leveling out. Chart below shows current housing market indicators, showing that the number of sales is up 35% in April 2010 compared to April of 2009, New listgs are also up 58% and Active listings down 2% for the same periods. 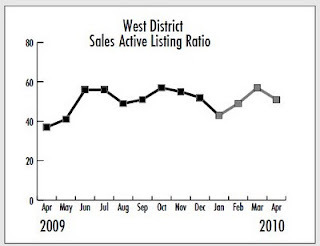 This indicates that although the market volume of sales is up, new listings are up more, so the market is softening. 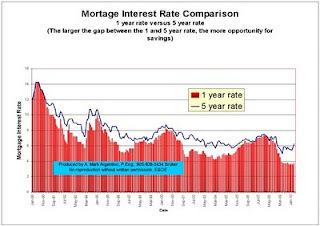 See the graph above shows you that the gap between long and short term rates is widening. 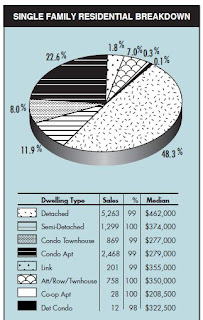 This means that there is much more opportunity for saving money when you go variable rate on your mortgage. 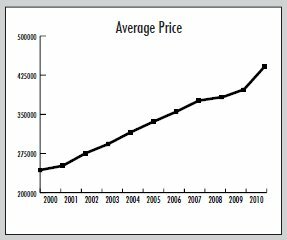 Of course there is always the risk that short term rates will rise, but they would have to rise considerably higher than they are today for this to have an effect. 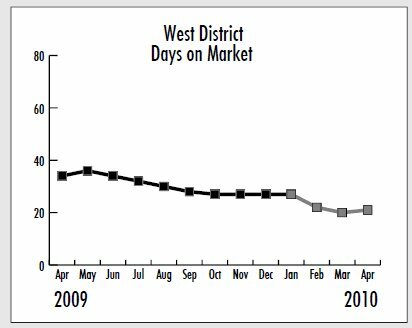 This graph shows the single family average prices over the past year or so and shows that prices have increased significantly over this period. 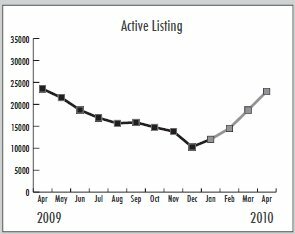 up about 34% compared to the same month last year. current Toronto Real Estate Board (TREB) boundaries. continued to take advantage of affordable home ownership opportunities. 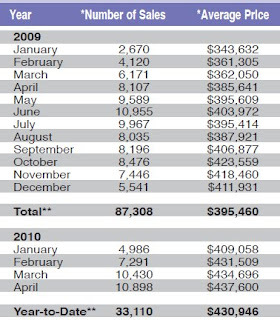 price growth in the second half of 2010." 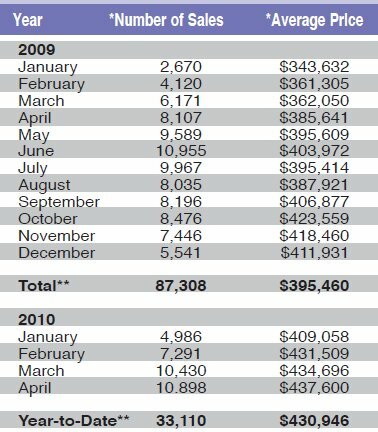 compared to the average of $385,641 recorded in April 2009.
will slip from the current record pace as borrowing costs rise."